Life is a great book. 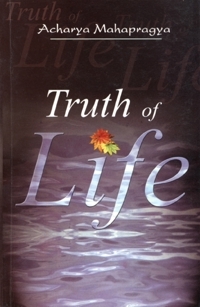 Many commentaries have been written on the truth of life in the past and continue to be written. And it is expected that this process will go on. The gross body, which is the visible part, is one aspect of life. This is a conglomeration of skin, flesh and bones. The other aspect of life is awareness, which is a part of ultimate reality. We are more concerned and attached with our gross body and hence experience disease, old age, birth, death, attachment and detachment. We realise happiness and sorrow through our gross body. It is possible to experience disease and old age without becoming unhappy. This is possible only when we establish our contact with our awareness, the ultimate reality. Learning only about one side, i.e., the gross aspect of life alone cannot lead to a happy life. In order to lead a good life, it is necessary to learn about the second aspect, i.e., awareness. Learning about the second aspect of life only enables us to change our undesirable habits and forms our integrated personality. The two aspects of life, i.e., gross and subtle, appear to be separate but they may be bridged together through the practice of friendliness and awareness. A person, who has learnt the concept of friendliness and awareness, is able to get happiness, peace and success in his life. He can shun negativity and pessimism and become optimistic, constructive and creative.